Mr. Wetterer was born and raised in Louisville, Kentucky. His father, William S. Wetterer Jr., practiced law for over fifty years until his death in 1999. Bill attended St. Xavier High School graduating in 1976. He attended college at the University of Notre Dame graduating with a degree in economics in 1980, with honors. Bill attended the University of Kentucky College of Law. He was Articles Editor of the Kentucky Law Journal. While in law school he clerked for the law firms of Greenebaum, Doll & McDonald in Louisville, Kentucky and Frost and Jacobs (now Frost Brown Todd) in Cincinnati, Ohio. Bill started his legal career as an Associate at Stites & Harbison in the Louisville, Kentucky office practicing in the Litigation Section of the firm. In 1986, Bill was one of the founding partners in the law firm of Mulloy, Walz, Wetterer, Fore & Schwartz and relocated his office to the First Trust Centre in downtown Louisville. His practice included litigation, real estate, small business matters and the general practice of law. In 1989, Bill joined another partner in the firm, Greg Clare, to establish the law firm of Wetterer & Clare. He continues to practice as a partner in that firm today working in the areas of real estate law, litigation, insurance defense, estate planning, bankruptcy, mediation, small business matters and the general practice of law. Bill has extensive experience as a mediator having overseen in excess of a hundred mediations. Bill is the former Chairman of the Louisville Bar Association Real Estate Section and serves as a mediator for the Greater Louisville Association of Realtors. Representative clients include First American Title Insurance Company, Old National Bank, Regions Bank, U.S. Bank, Bank of America, Kentucky TELCO Federal Credit Union, Harshaw Trane Company, Associated Insurance Services, Inc., Riverside Parking, Inc. as well as numerous national and local banks, corporations and individuals. Bill is an owner of Kentucky Title Services, Inc. a title company operating in Kentucky and Indiana with offices in Louisville and Radcliff, Kentucky. 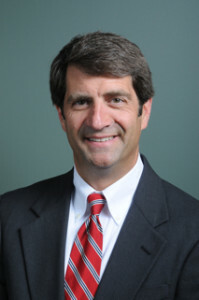 Bill has extensive business interests in Louisville and is an owner of Clare & Wetterer Properties, LLC as well as D.A. Properties, LLC both companies holding multifamily residential rental properties. He is also a shareholder/owner of Exchange Corporation, a Kentucky company specializing in acting as a qualified intermediary under the U.S. Tax Code. Bill is married to attorney Carolyn Wetterer and has two daughters. Mr. Clare is a native of Louisville, Kentucky. He began his practice as an associate with the law firm of Mosley Clare and Townes in 1984. He joined the firm of Mulloy, Walz, Wetterer, Fore and Schwartz in 1990. 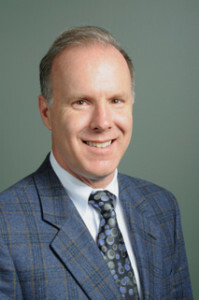 Mr. Clare’s practice has been concentrated in the area of Immigration Law since 1984. In 1989 upon joining the firm of Mulloy Walz Wetterer Fore and Schwartz, Mr. Clare and Mr. Wetterer jointly created a residential real estate practice. Soon thereafter Mr. Clare and Mr. Wetterer founded the firm of Wetterer and Clare for the purposes of expanding their practice in the area of real estate law. Mr. Clare has maintained his strong and viable immigration practice since 1984. In 2007 Mr. Clare hired Mr. Shane Parker as an associate to work solely in the area of immigration law due to the continued expansion of his immigration practice. Mr. Clare and his associate and paralegals work with clients from all parts of the United States and around the world in the area of immigration law. Mr. Clare’s immigration practiced has been focused on business immigration with a concentration in the health care field. Mr. Clare and his staff work closely with foreign national research scientist, physicians, and executives. Mr. Clare is an experienced practitioner in the areas of employment based immigration law. Mr. Clare has established a record of success in helping employers obtain work visas and permanent resident status for their employees. Mr. Clare has also successfully represented individuals, including top-level scientists, doctors, physicians, engineers, business executives and managers, athletes, and other professionals and non-professionals. Mr. Clare has argued before the Commonwealth of Kentucky Court of Appeals, The United States Sixth Circuit Court of Appeals and the United States Supreme Court. Mr. Clare also has extensive business experience. Mr. Clare is an owner of Kentucky Title Services, Inc. a title company operating in Kentucky and Indiana with offices in Louisville and Radcliff, Kentucky. Mr. Clare also has extensive business interests in Louisville and is an owner of Clare & Wetterer Properties, LLC as well as Greg Clare Properties LLC., both companies hold multifamily residential rental real estate and commercial properties. He is also a shareholder/owner of Exchange Corporation, a Kentucky company specializing in acting as a qualified intermediary under the U.S. Tax Code. Mr. Clare comes from a family of attorneys. His father Michael J. Clare (now deceased) his brother Brian E. Clare, his sister Mary Clare Clark, cousins, Dennis M. Clare, Linda Clare and brother in law Edward Bartinstien all are members of the law profession. Mr. Clare’s wife Susan Castleman Clare is with the multinational company Brown-Forman Corporation. They have one daughter who most likely will pursue her career in another field. 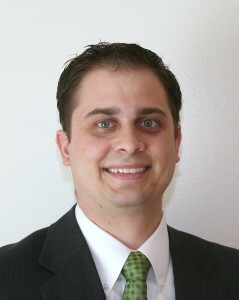 Shane Parker joined the Law Offices of J. Gregory Clare after graduating from the Louis D. Brandeis School of Law at the University of Louisville. He focuses his practice exclusively in immigration law, in particular representing doctors, professors, researchers and professionals from allover the world working for universities, colleges and business throughout the United States. Mr. Parker has an exceptional track record of successfully filing all types of employment-based permanent residence petitions including Extraordinary Ability, Outstanding Researcher/Professor, National Interest Waivers, Special Handling Labor Certifications and Labor Certifications as a well as nonimmigrant employment visas for established and start-up companies hiring professional employees, such as H1-B’s, L-1’s, and E visas. Mr. Parker is also experienced in all types of family-based immigration petitions and asylum applications where his work has been featured in several news publications and on national cable TV. Mr. Parker regularly organizes immigration seminars for students, faculty and international student advisors at colleges and universities throughout Kentucky and Indiana. In law school, Mr. Parker was a published member of the Brandeis Law Journal. He is also fluent in Spanish. Shane L. Parker, Note, The Debate Over Kentucky’s Tax Incentives: Do they have a future in the Commonwealth if State Courts follow the Coercive Pre-Existing Tax Laibility Test?, 45 Brandeis L.J. 809 (2007). Michael Marks joined Wetterer & Clare after graduating from the Universitiy of Louisville Brandeis School of Law in 2013. Michael focuses his practice primarily on bankruptcy law and real estate law. He also does work in the areas of landlord/tenant and estate planning and administration. Michael is a skilled and intelligent lawyer who uses his knowledge of the law to help his clients achieve successful outcomes. Michael was born and raised in Utah and attended Utah State University, graduating with Bachelor of Science degrees in Finance and Economics. He is married to Krystal Marks and has three daughters and a son.